Trusted government and private sector IT solution provider since 2006. Since day one, Meadowgate has been committed to delivering value to our customers and partners through our culture of excellence, integrity, and fairness. The leadership team of Meadowgate has over 50 years of information technology experience. We are experts in sourcing, financing, and contracts administration. Meadowgate Technologies’ expertise of the federal IT contracting process and our carefully crafted ecosystem of manufacturers and partners enables us to confidently deliver the right technology solutions and services to our government customers. Our experience with businesses of all sizes has elevated us beyond a technology provider to a business partner and trusted advisor. Meadowgate Technologies has received numerous awards. 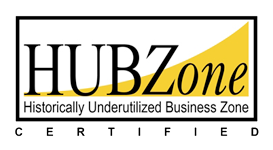 We are also a Certified HUBZone, Women-owned Business. If you want to work for a premier IT solution provider that treats employees like family, Meadowgate Technologies might be the right place for you. We are always looking for team members that share our values: Accountability, Integrity, Value, and Innovation. Our values are part of our DNA. They guide the way we work with our customers, business partners, employees, and communities. We are accountable to our customers, partners, and employees. We meet our commitments. We take responsibility for our performance. We are honest, fair, and respectful in all of our interactions and decisions. Our high ethical standards are integrated into every aspect of our business. We strive to deliver the most value possible to our customers. We negotiate on their behalf to obtain high-quality products at the lowest cost available then pass the savings on. We constantly search for new ways of getting work done. We make improvements to our performance and processes to better serve our customers, our goals, and the ever-changing marketplace. We provide our customers with the products and services they need to achieve their goals. Meadowgate Technologies understands that our customers are continually challenged with meeting mission objectives, keeping up with new technology, and dealing with budget constraints. We offer a breadth of IT products and have a history of successfully helping our customers address these challenges. From small acquisitions to large installations, we work closely with our customers to determine the best option to make that happen. Meadowgate continues to evolve and discover how to meet our customers’ needs as the federal IT landscape changes. Meadowgate Technologies has extensive corporate experience. We understand that our clients are using technology to meet a business objective. That is why we work to learn what you are trying to accomplish and then apply our experience to make it happen. We are a value-driven organization. Our values are deeply ingrained in our DNA. That is what sets us apart. You will notice it in every interaction that you have with our organization.